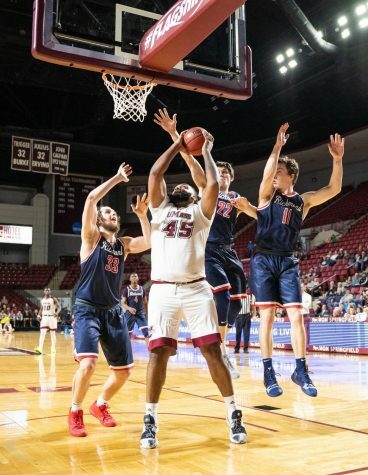 Coming off a blow-out victory over Arkansas-Fort Smith, the Massachusetts basketball team was looking to keep its winning ways alive, and did just that with a 85-63 victory over Saint Francis. 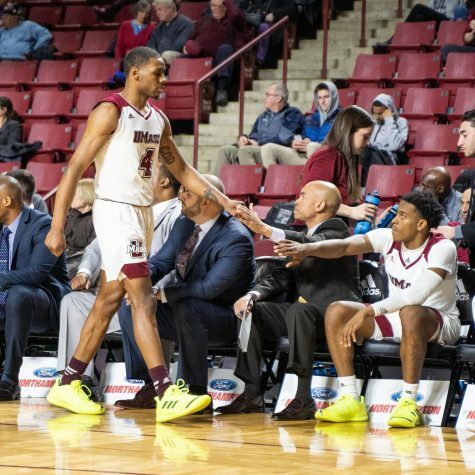 A thick drama filled the Mullins Center during the game against the Terriers (0-4), despite a final score that suggests otherwise. St. Francis was able to cut a 12-point deficit to within four midway through the second half. A persistent effort, however, brought the Minutemen (2-2) back to its earlier halftime lead and beyond it. 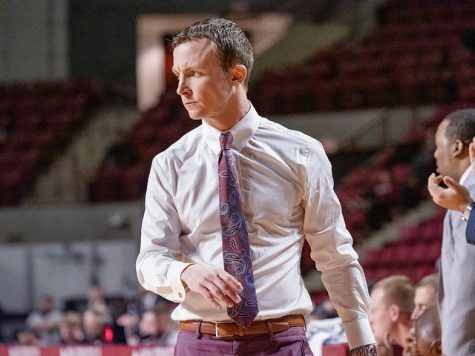 “I like to learn lessons from wins, and I thought while we did a lot of good things, there are obviously a lot of things to work on,” UMass coach Derek Kellogg said. Freshman Freddie Riley kept the Minutemen afloat, despite a 21-10 Terrier run between the two periods. Coming off the bench, Riley hit three shots from outside the arc in the first half, accounting for 12 of the 27 points scored from the UMass bench. Four Minutemen finished in double digits. Riley (12 points) and freshman Terrell Vinson (13 points), not only scored double-digits but also grabbed four rebounds each. On the veterans’ side, Anthony Gurley (game-high 18 points) and senior Ricky Harris (10 points) also contributed nicely for the Maroon and White. While high-scoring Harris scored few points, he was not worried following the game. The Minutemen shot 49 percent (28-for-57) in its rout over St. Francis, with 9-for-19 coming from beyond the arc. Nearly half of those nine came from Riley, who was 4-for-8 from the 3-point line. The Minutemen also out-rebounded St. Francis 32-to-25. Both teams grabbed 15 offensive rebounds. It was a physical game, featuring 12 Minutemen fouls and 13 from the Terriers. UMass’ 11-2 run made it 42-30 over St. Francis at halftime. In the first half, the Minutemen out-shot the Terriers 16-for-29 compared to 10-for-25. Sloppy play plagued both teams in the first half. 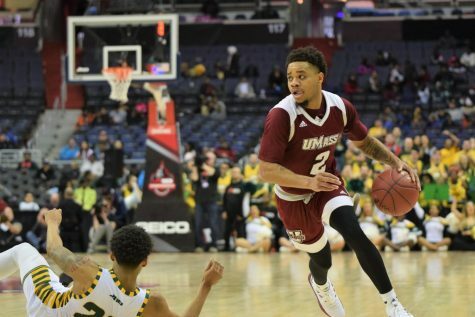 UMass turned over a seemingly-slick ball eight times while the Terriers lost it 10. 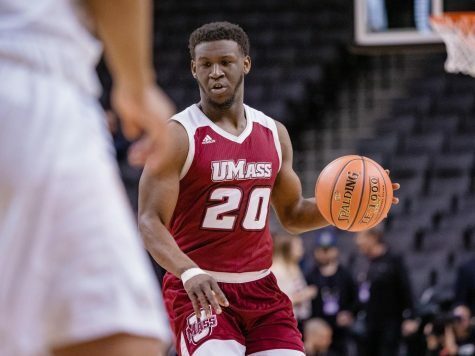 The Minutemen’s 3-point shooting success continued in the opening half with two 3-pointers in the first five minutes from Harris and forward Sampson Carter. 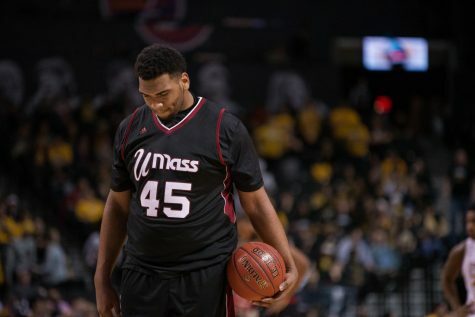 Over the course of the first half, UMass shot 50 percent from beyond the arc. For St. Francis, it was a similar story, hitting 5-of-11 from 3-point range. Sean Carter’s presence was (eight points, three rebounds) certainly felt in the first 20 minutes of play, in which he scored six points including a powerful dunk with four minutes to play. Carter’s dunk was two of the 38 points that the Minutemen scored in the paint. In the first half, UMass outperformed Saint Francis under the basket, outscoring them 20-6. Later, however, the Terriers began a comeback, in which St. Francis outscored the Minutemen from the paint, 20-18. 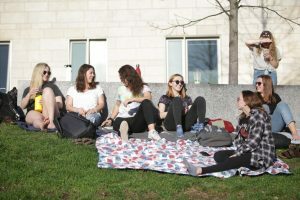 “I’ll be able to watch the tape and get a better feel on how things went,” Kellogg said. 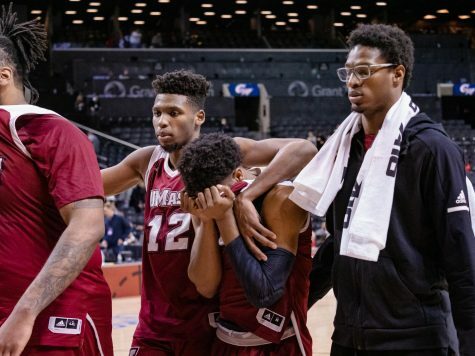 The victory over the Terriers is surely a moral booster for UMass, as it looks ahead to stronger teams in the Legends Classic Championship. On Friday, the Minutemen travel to Boardwalk Hall in Atlantic City N.J. to face Rutgers. 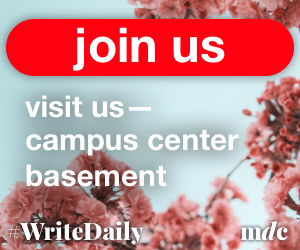 The Scarlet Knights (2-1) are fresh from a 77-71 loss to Vermont this past Sunday – their first defeat this season. Rutgers has been stingy against 3-point shooting teams, ranking second in the Big East in its defense against 3-point shots. The Scarlet Knights have allowed 11-of-50 3-pointers. 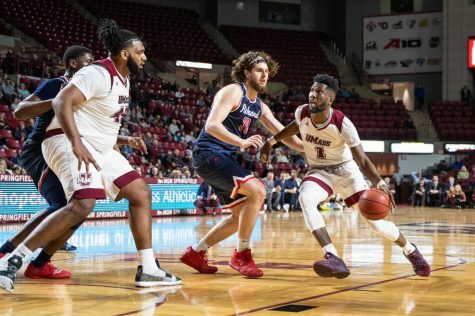 UMass, contrarily, sits in the 14th place among Atlantic 10 teams in its defense, allowing 19-of-50 attempts. 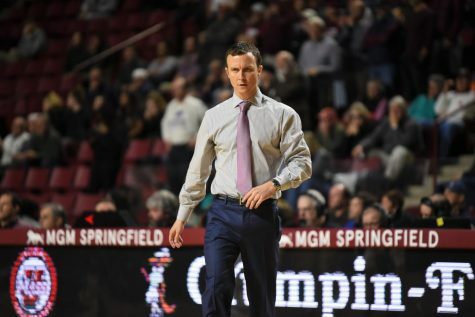 Currently, UMass is also eighth in the A-10 for 3-point field-goal percentage with a .304 percent. 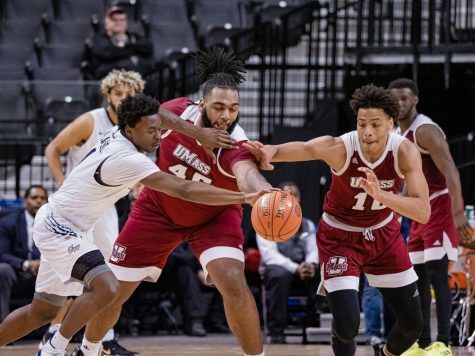 Rebounding will be a key element against Rutgers, as UMass is sixth in the A-10 with rebounding offense compared to the Scarlet Knights’ 15th spot in the Big East with rebounding defense. Blocked shots could disrupt a Minutemen offense. Rutgers is second in the Big East with 27 blocked shots in its first three games. The Minutemen, however, are last in the A-10 with seven. After Rutgers, UMass will compete against either Florida or No. 2 Michigan State.